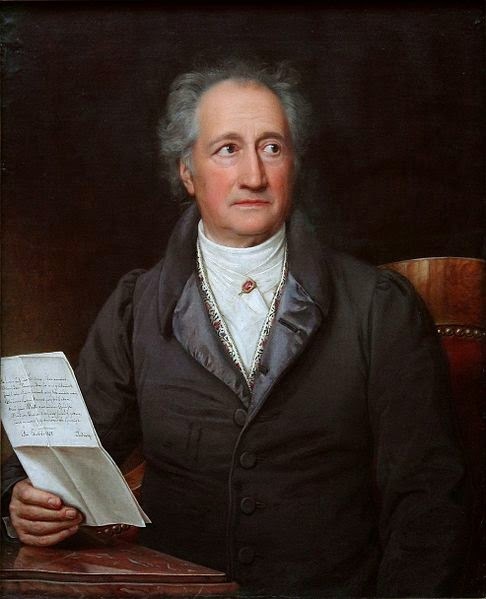 Johann Wolfgang von Goethe (1749–1832). Egmont. Spain sent the Duke of Alva to subdue the Netherlands. In quelling disorder he killed the people's hero, Count Egmont. From this story Goethe made a famous play. JETTER (steps forward, and bends his cross-bow). Soest. COME, shoot away, and have done with it! You won’t beat me! Three black rings, you never made such a shot in all your life. And so I’m master for this year. Jetter. Master and king to boot; who envies you? You’ll have to pay double reckoning; ’tis only fair you should pay for your dexterity. Buyck. Jetter, I’ll buy your shot, share the prize, and treat the company. I have already been here so long, and am a debtor for so many civilities. If I miss, then it shall be as if you had shot. Jetter. You have no one to thank but yourself. Buyck. Compared with him I am only a bungler. He aims with the rifle as no one else does. Not only when he’s lucky or in the vein; no! he levels, and the bull’s-eye is pierced. I have learned from him. He were indeed a blockhead, who could serve under him and learn nothing!—But, sirs, let us not forget! A king maintains his followers; and so, wine here, at the king’s charge! All. Here’s to his Majesty! Hurrah! Jetter (to BUYCK). That means your Majesty, of course. Buyck. My hearty thanks, if it be so. Ruysum. God bless him! He was a king indeed! His hand reached over the whole earth, and he was all in all. Yet, when he met you, he’d greet you just as one neighbour greets another,—and if you were frightened, he knew so well how to put you at your ease—ay, you understand me—he walked out, rode out, just as it came into his head, with very few followers. We all wept when he resigned the government here to his son. You understand me—he is another sort of man, he’s more majestic. Soest. No, no! He has no affection for us Netherlanders; he has no heart for the people; he loves us not; how then can we love him? Why is everybody so fond of Count Egmont? Why are we all so devoted to him? Why, because one can read in his face that he loves us; because joyousness, open-heartedness, and good-nature, speak in his eyes; because he possesses nothing that he does not share with him who needs it, ay, and with him who needs it not. Long live Count Egmont! Buyck, it is for you to give the first toast; give us your master’s health. Buyck. With all my heart; here’s to Count Egmont! Hurrah! Ruysum. Conqueror of St. Quintin. Buyck. Gravelines! Ha, my friends, we had sharp work of it there! The victory was all our own. Did not those French dogs carry fire and desolation into the very heart of Flanders? We gave it them, however! The old hard fisted veterans held out bravely for a while, but we pushed on, fired away, and laid about us, till they made wry faces, and their lines gave way. Then Egmont’s horse was shot under him; and for a long time we fought pell-mell, man to man, horse to horse, troop to troop, on the broad, flat, sea-sand. Suddenly, as if from heaven, down came the cannon shot from the mouth of the river, bang, bang, right into the midst of the French. These were English, who, under Admiral Malin, happened to be sailing past from Dunkirk. They did not help us much, ’tis true; they could only approach with their smallest vessels, and that not near enough;—besides, their shot fell sometimes among our troops. It did some good, however! It broke the French lines, and raised our courage. Away it went. Helter-skelter! topsy-turvy! all struck dead, or forced into the water; the fellows were drowned the moment they tasted the water, while we Hollanders dashed in after them. Being amphibious, we were as much in our element as frogs, and hacked away at the enemy, and shot them down as if they had been ducks. The few who struggled through, were struck dead in their flight by the peasant women, armed with hoes and pitchforks. His Gallic majesty was compelled at once to hold out his paw and make peace. And that peace you owe to us, to the great Egmont. Soest. Not so! Truth is truth! I’ll not hear Margaret abused. Now it is my turn. Long live our gracious lady! Soest. Truly, there are excellent women in that family. Long live the Regent. Buyck. Ask their leave, forsooth! In our province, we sing just what we please. That’s because Count Egmont is our stadtholder, who does not trouble himself about such matters. In Ghent, Ypres, and throughout the whole of Flanders, anybody sings them that chooses. (Aloud to RUYSUM.) There is nothing more harmless than a spiritual song—Is there, father? Soest. The Inquisition won’t do here. We are not made like the Spaniards, to let our consciences be tyrannized over. The nobles must look to it, and clip its wings betimes. Jetter. It is a great bore. Whenever it comes into their worships’ heads to break into my house, and I am sitting there at any work, humming a French psalm, thinking nothing about it, neither good nor bad—singing it just because it is in my throat;—forthwith I’m a heretic, and am clapped into prison. Or if I am passing though the country, and stand near a crowd listening to a new preacher, one of those who have come from Germany; instantly I’m called a rebel, and am in danger of losing my head! Have you ever heard one of these preachers? Jetter. There may be something in it. I always said as much, and have often pondered over the matter. It has long been running in by head. Buyck. Come, sirs! While you are talking, you forget the wine and the Prince of Orange. Jetter. We must not forget him. He’s a very wall of defense. In thinking of him, one fancies, that if one could only hide behind him, the devil himself could not get at one. Here’s to William of Orange! Hurrah! Soest. Now, grey-beard, let’s have our toast. Ruysum. Here’s to old soldiers! To all soldiers! War for ever! Buyck. Bravo, old fellow. Here’s to all soldiers. War for ever! Buyck. Peace, sirs! Must the soldier cry peace? Since you will not hear anything about us, let us have a toast of your own—a citizen’s toast. Jetter. We’re all ready for that! Safety and peace! "Is That a Dagger I See Before Me?" Do You Take Poison Daily? "There's Rosemary - that's for Remembrance!" A Shrill Cry in the Night!